In January, Morro Bay puts on a Winter Bird Festival. Because of the king tides pushing the birds on the bay close to the boardwalk where I walk, it was spectacular. People took trips to see birds at the Carrizo Plains, Owling at Night, Birding by Bicycle, Osos Flaco, Sweet Springs and did a Big Day and Little Big Day bird count ! 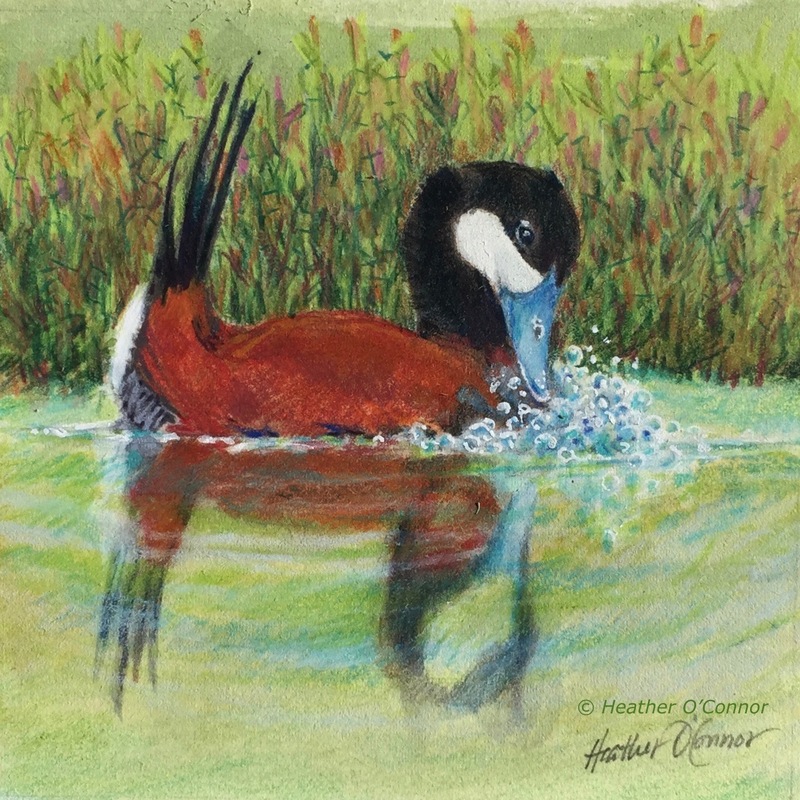 I recalled many years ago as a child, I had painted a Ruddy Duck for my grandmother. 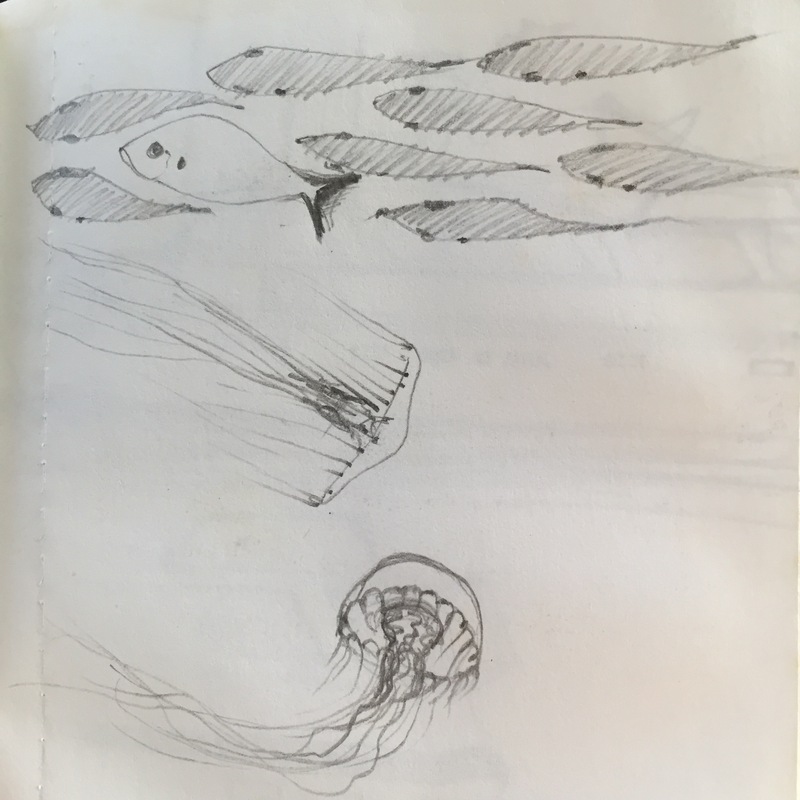 (Listen to podcast) I was about 10 years old. In honor of that time, I decided to paint a Ruddy Duck in courtship mode slapping its bill against its chest making a myriad of bubbles. 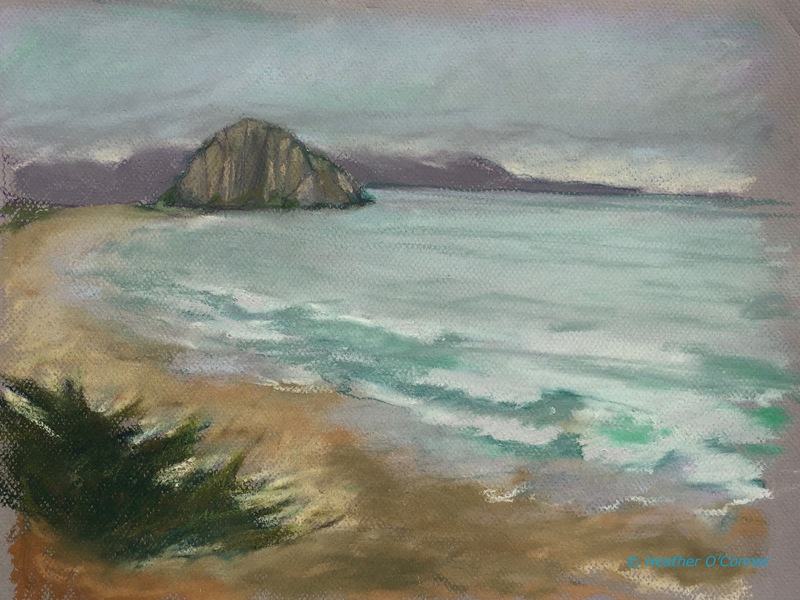 You may see it on exhibit at the Morro Bay Art Center on Main Street. I, also, entered a Common Loon with a Chick riding on its back and a California Quail which I have yet to photograph, but you may see them all until they take the show down on the 6th of February 2017. 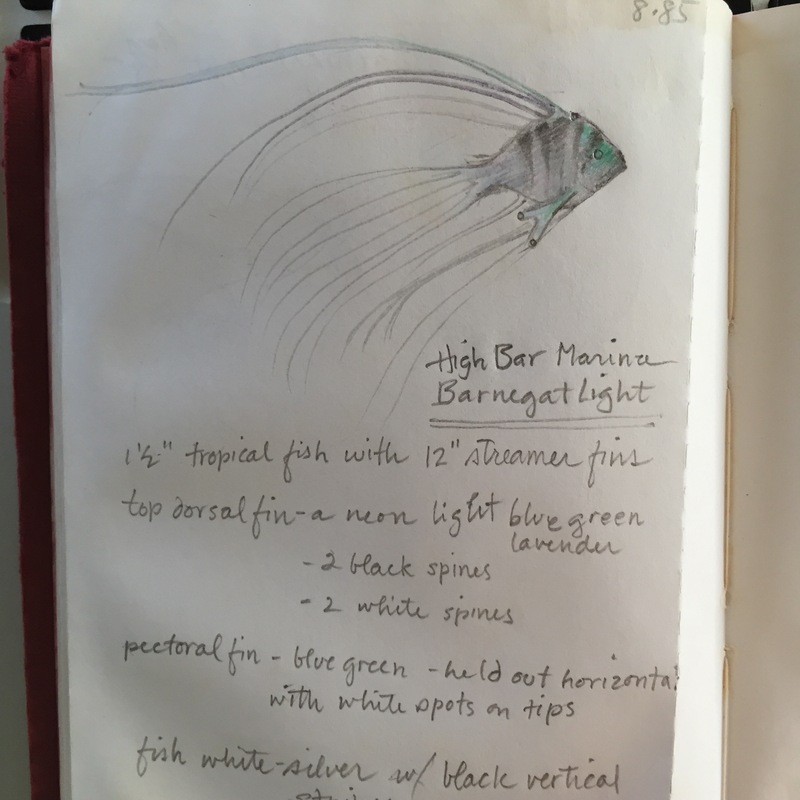 Just in time for the Open Studios Tour, I was interviewed by two artists who have been participating in the Tour for years. Below is the link to our PBS station to hear what I had to say. 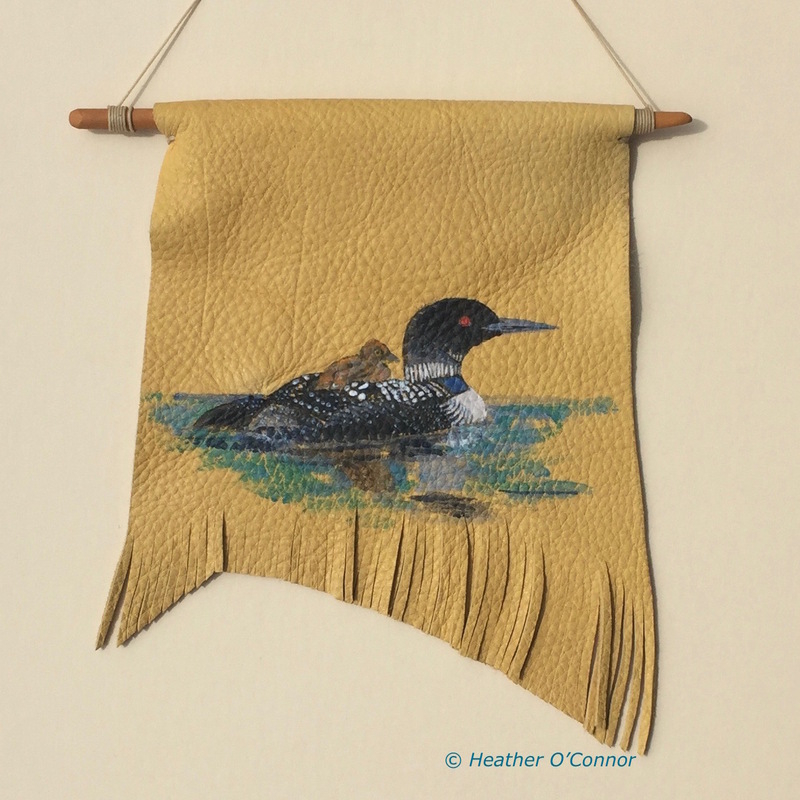 As I continue to prepare for the first day of the Tour, October 8th, everything is coming in line…many pastels are mounted in frames, others are matted and put in clear bags, a Common Loon with a Chick riding on its back has been framed for the exhibit at Central Art Supply, 1329 Monterey St., San Luis Obispo. Please come to this reception on Friday, October 7 from 6-9PM. I’ll be there! 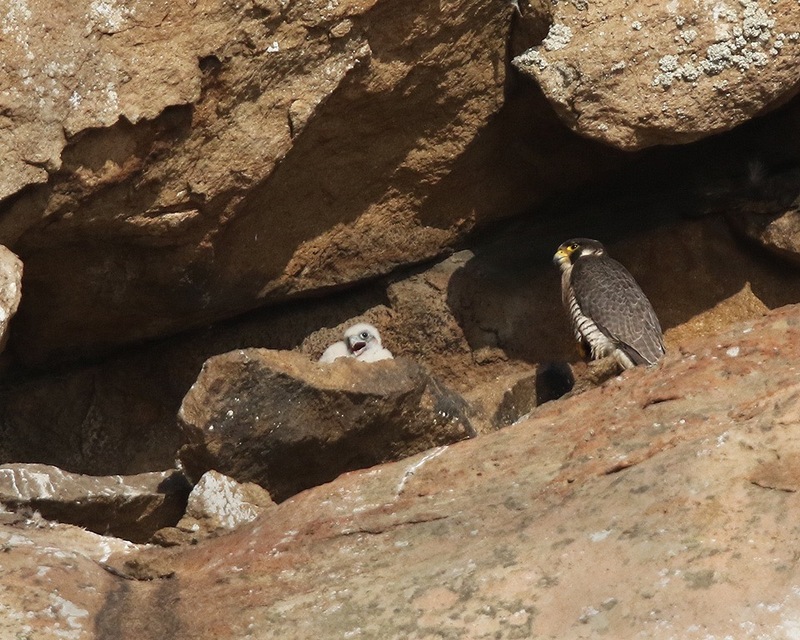 Bob Isenberg is at Morro Rock to educate the public about the life cycles, personalities and antics of these peregrine falcons, the fastest animal on the planet! This organization is close to my heart and keeps us in touch with the fragility of all lives in the natural world. Always a good way to keep us informed about how to take care of our planet. * Elk hide – Hunters who hunt for meat for the winter often will have the hide tanned to be used in many ways. My first elk hide was given to me by a Shoshone friend in Ward, Nevada after I showed him my sketch books. The majority of hides are often discarded by hunters who don’t bother to use the hide only to have them retrieved from the trash by the Native Americans and carefully tanned and used in a more thoughtful manner. I’m now participating in this by making artistic use of all pieces and the scraps. Knowing this, my son gave me one of his elk hides after providing meat for his family.